Sharing an updated recipe for chocolate peanut butter balls, one of my family’s favorite no-bake treats! You won’t regret adding these to your sweet treat rotation! 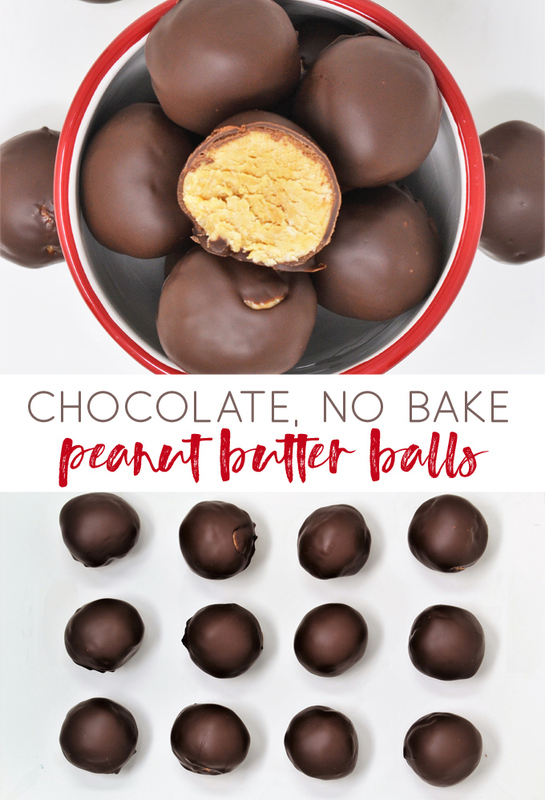 Peanut butter balls was one of the first recipes I shared on this site. A friend first taught me to make peanut butter balls in college, and I think of her whenever I make these (which is fairly often). This post has an updated recipe and updated photos. I recently made Christmas peanut butter balls, so head there if you want a festive variation on this easy treat! For this recipe, I used half natural peanut butter and half regular peanut butter. The natural peanut butter cuts down on the sweetness, which I like. Feel free to use whatever combination you’d like! 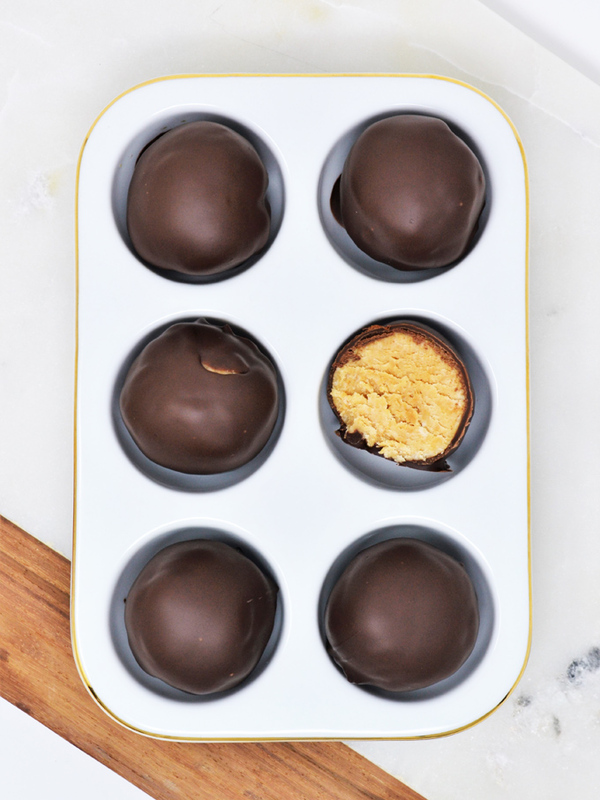 After rolling out your peanut butter balls, take a few minutes to refrigerate them while you melt your chocolate. This will help them keep their shape when they are dipped in the chocolate. You can use a double boiler to melt your chocolate (or even the microwave), but I’ve found that a glass bowl inside of a saucepan works perfectly! Just make sure to stir your chocolate constantly as it’s melting. I’ve always found that my melted chocolate is often too thick. You can fix this by adding small amounts of oil (I used canola this time, but have used coconut in the past) to thin out the chocolate. Start with a teaspoon and work up from there, if needed. One more note: Adding the paraffin wax to the chocolate gives these peanut butter cups a glossy finish when they harden. It also helps to keep the chocolate solid at room temperature. If you prefer, of course, you can definitely omit it. An easy no-bake treat that everyone will love! 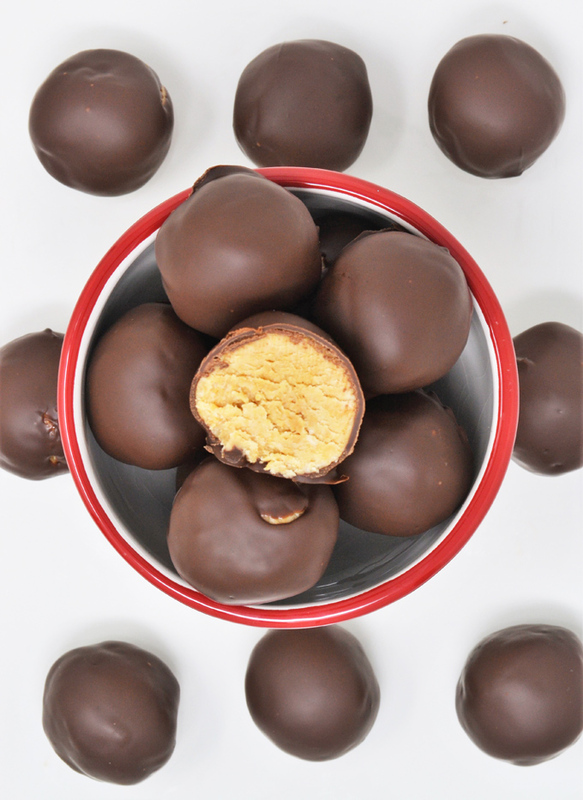 Chocolate Peanut Butter Balls are one of my favorite recipes for sharing at parties and gifting, too! Using a mixer (or by hand), mix together peanut butter and butter. Add in vanilla and powdered sugar. If mixture is too sticky, add in more powdered sugar. 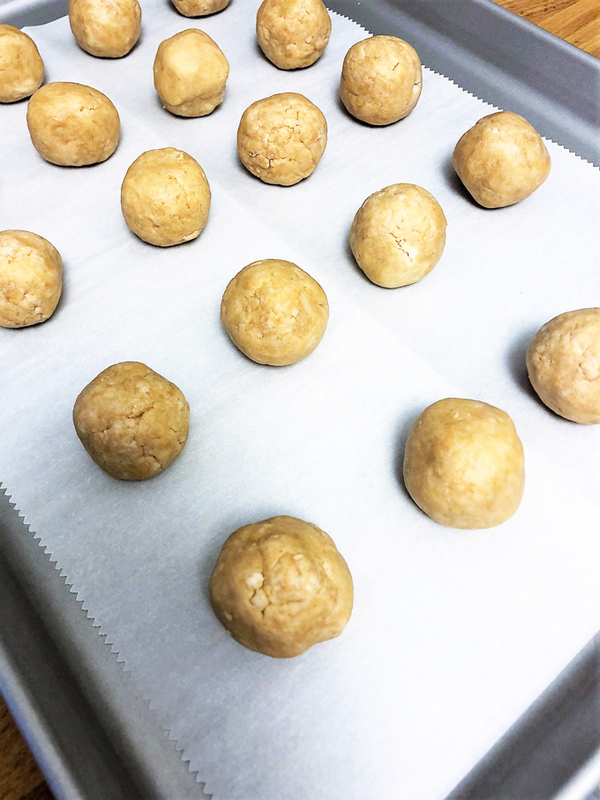 Roll into balls and place on a parchment lined sheet pan. Place in refrigerator while you're melting your chocolate. In a double boiler, microwave or in a glass bowl over a saucepan, melt together paraffin wax and chocolate while stirring constantly. 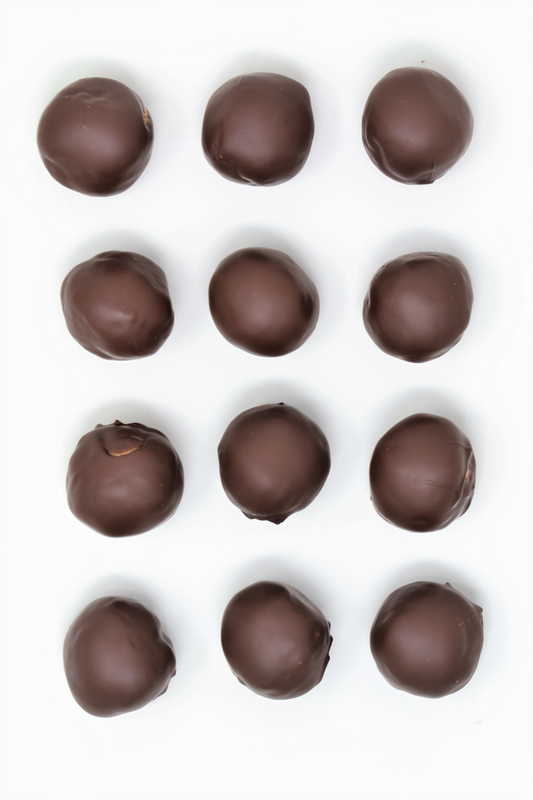 Using a fork, dip peanut butter ball into chocolate, tapping against the side of the bowl to remove excess chocolate. Place on parchment to cool. Repeat with all balls, place in refrigerator to harden. There are many ways to coat your peanut butter balls in chocolate; I’ve found that placing one in the chocolate and using a fork to coat works well. Tap the fork against the side of the bowl to help remove excess chocolate. 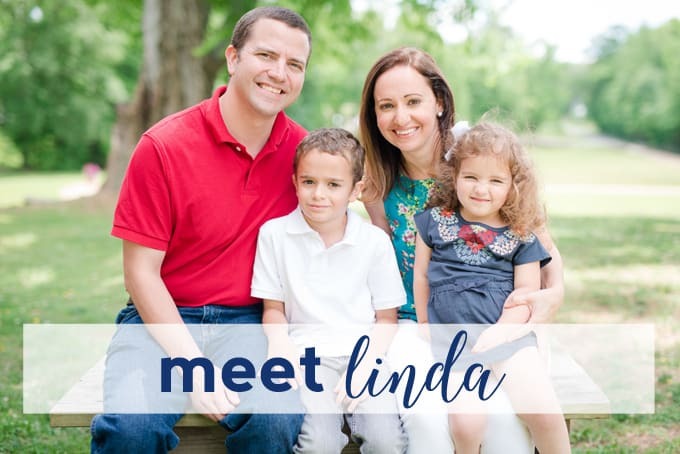 While these are a little bit of work, the end result is well worth it! Take to parties and potlucks, or package up in tins or cellophane bags for easy gifting. 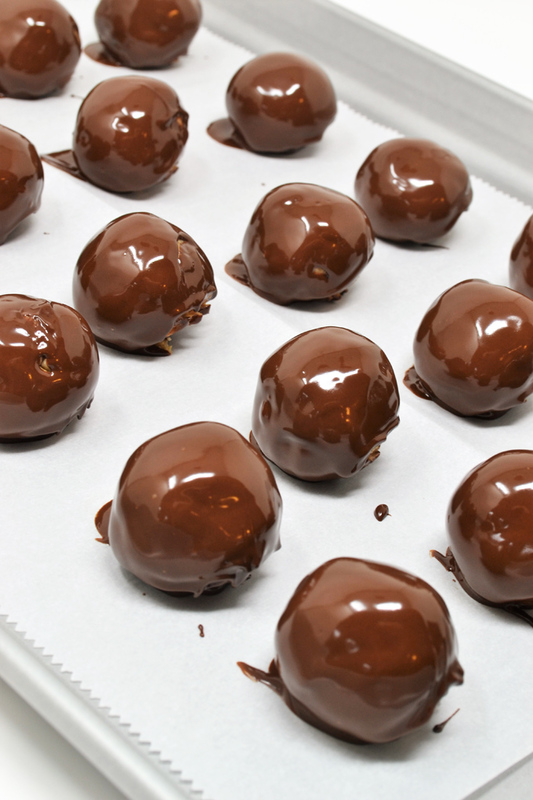 Thanks for reading all about our Chocolate Peanut Butter Balls Recipe. Have a lovely day!